Europa Point Lighthouse, which sits on the southeastern tip of Gibraltar, has been guiding sailors approaching the Iberian Peninsula since 1841. 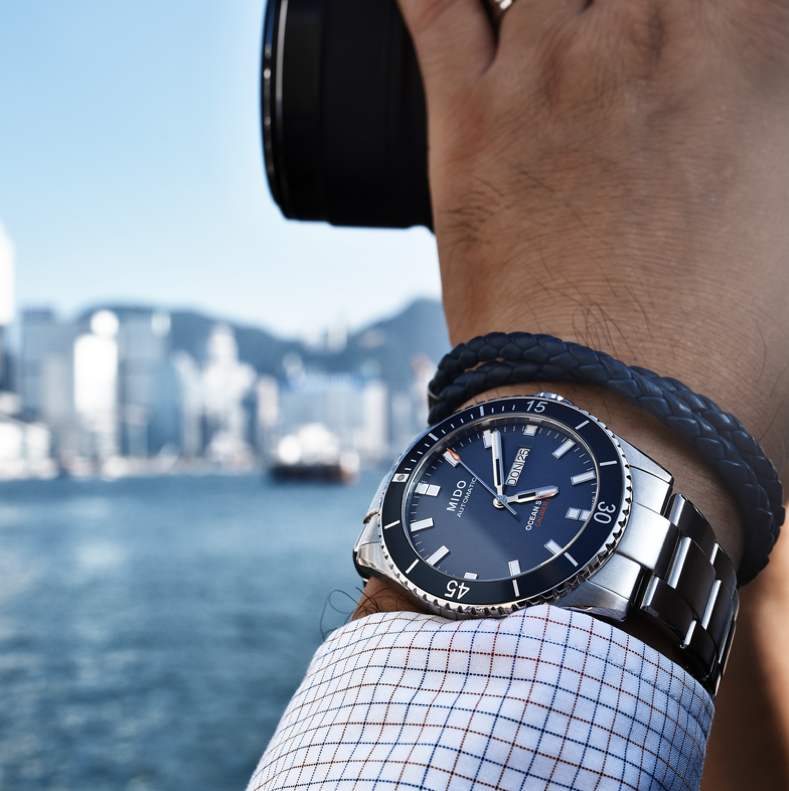 This iconic structure serves as inspiration for Mido’s Ocean Star collection, which is the perfect companion for those who want safety, reliability, and style on their adventures out at sea. The Ocean Star Caliber 80 Titanium, which is the latest model from the collection, is perfect for those with a sportier outlook thanks to its light, robust, and comfortable wearability. 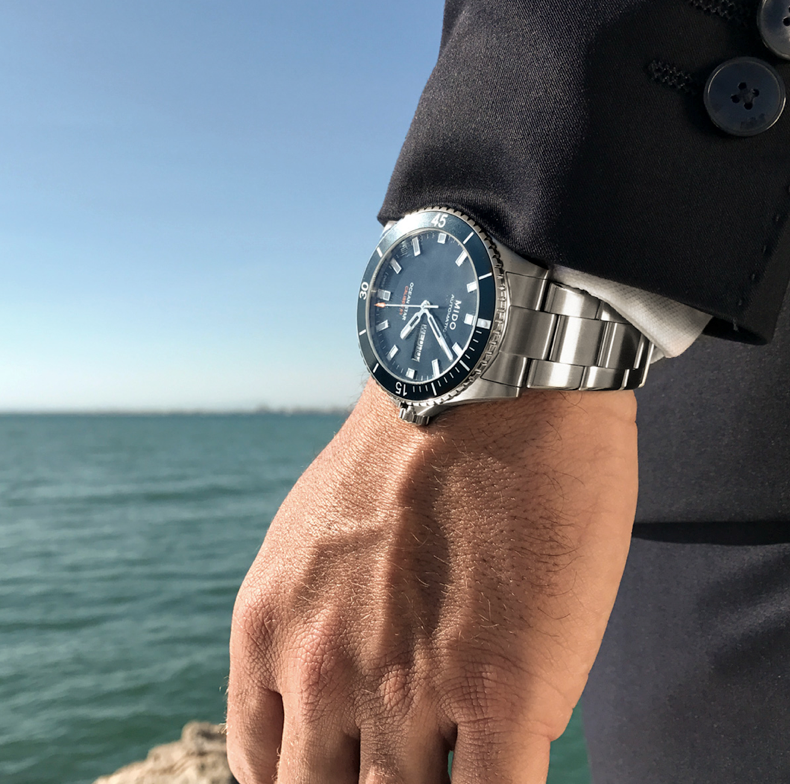 If conquering the ocean depths is on the wearer’s agenda, this model won’t disappoint because at its heart is the Caliber 80, a latest-generation automatic movement that provides up to 80 hours of power reserve. Meanwhile, it can also withstand water-resistance up to a pressure of 20 bars (220 m/660 ft). On the outside, the timepiece is a sight to behold. The grained anthracite dial is protected by a sapphire crystal with an anti-reflective treatment on both sides, and is equipped with a unidirectional rotating bezel that features a sandblasted anthracite aluminum ring used to measure diving time. What’s more, it boasts an aperture that indicates both day and date at 3 o’clock. 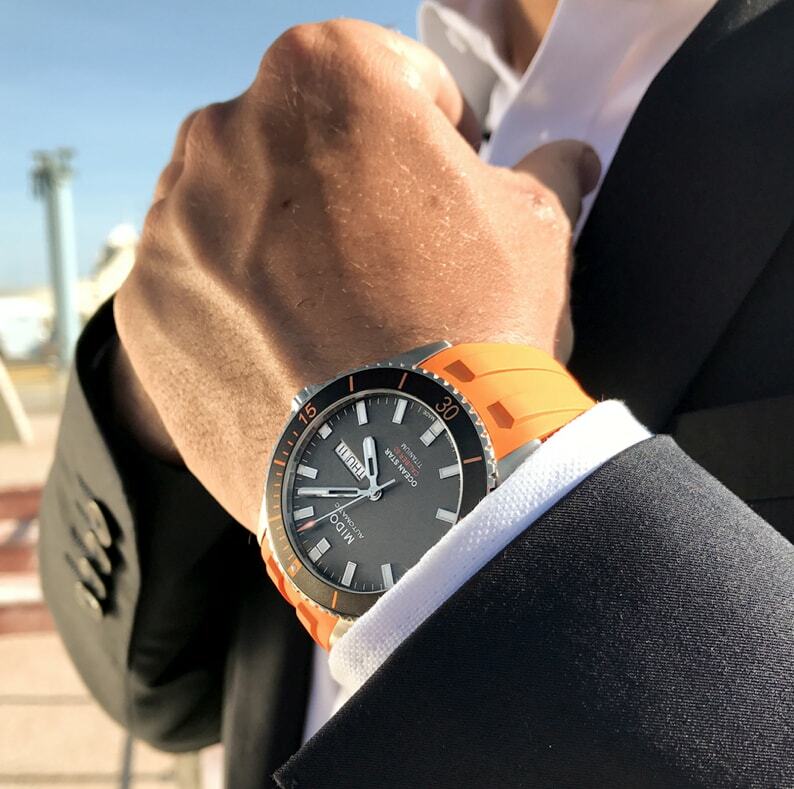 Lastly, sporty design elements come into play through bright hints of orange – a nod to the brand’s heritage – on the dial, bezel, top of the seconds hand, and finally, the rubber strap. 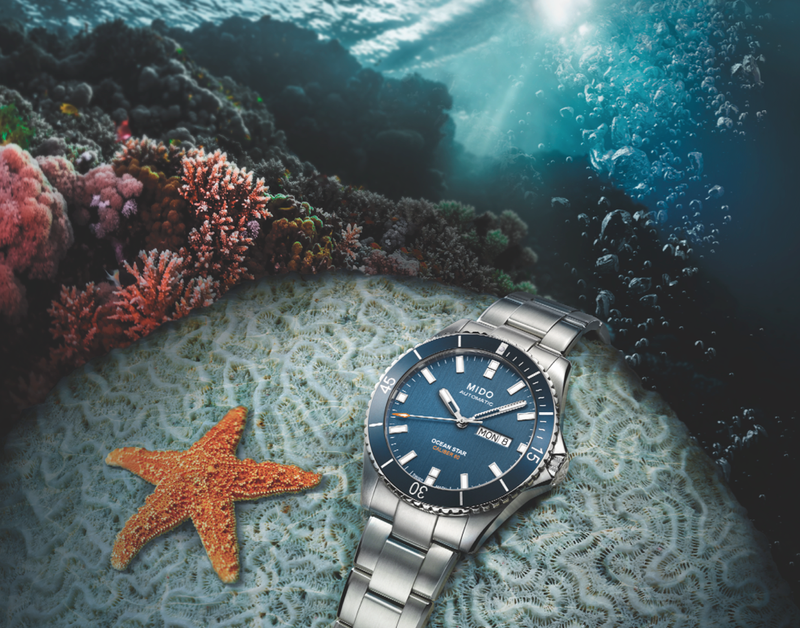 With its cool blue hues and stainless steel case, the Ocean Star Caliber 80 is reminiscent of the ocean depths. 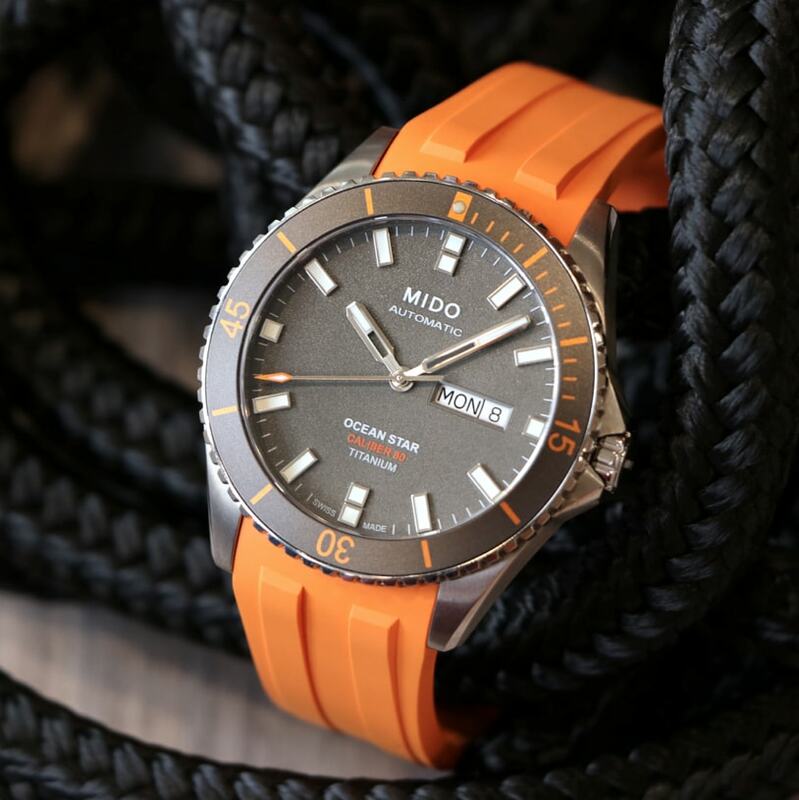 And whether you’re underwater or on dry land, the timepiece is sure to deliver high on style and function. Just like the Caliber 80 Titanium, this blue version is equipped with the Caliber 80 automatic movement and can withstand water-resistance up to a pressure of 20 bars (220 m/660 ft). With such reliable features, the timepiece remains faithful to its core values since it was first launched in 1944. Another key feature for the Ocean Star Caliber 80 is clear and uncomplicated timekeeping, which is displayed through the generous touches of white Super-LumiNova on the indexes and hands, guaranteeing legibility and clarity whether it’s on a dive or enjoying a special occasion at night. 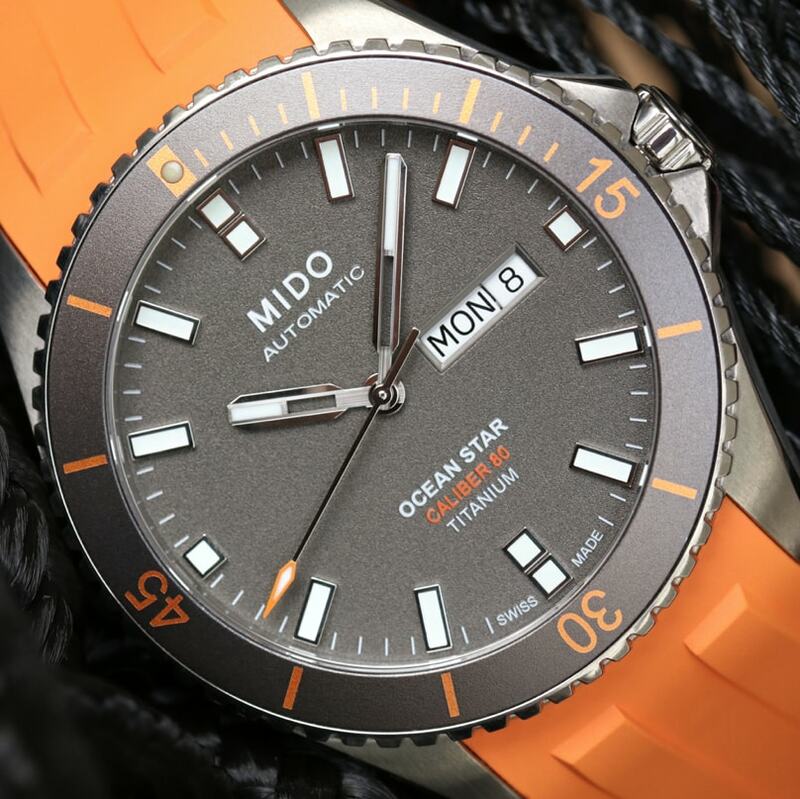 Finally, it features a white Super-LumiNova dot at 12 o’clock, as well as an orange one on the tip of the seconds hand, which reinforces the Mido visual identity.